Alien Spotted Boarding UFO in Romania? Was an Alien Spotted Boarding a UFO in Romania? This isn't a real UFO and a real alien, wherever in the world this clip wasn't actually filmed. A video showed an alien boarding a spaceship in Romania in January 2018. 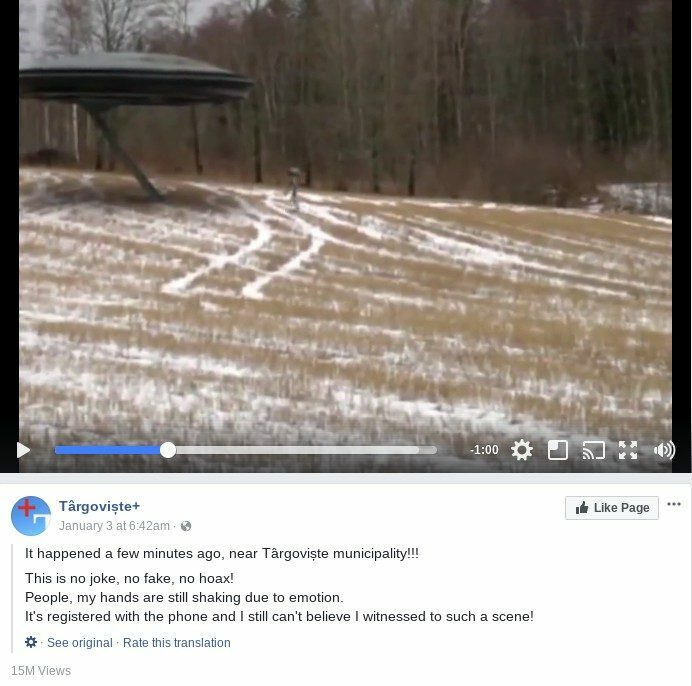 A video purportedly showing an alien boarding a spaceship in a field near the Romanian city of Târgoviște and then flying the UFO over the forest racked up millions of views as it was passed around social media in January 2018. Although many expressed skepticism about the footage, some were convinced that this video documented an actual alien making a pit stop in Romania. This video doesn’t actually show an extraterrestrial being. For one, internet users couldn’t quite agree on where this video supposedly took place. 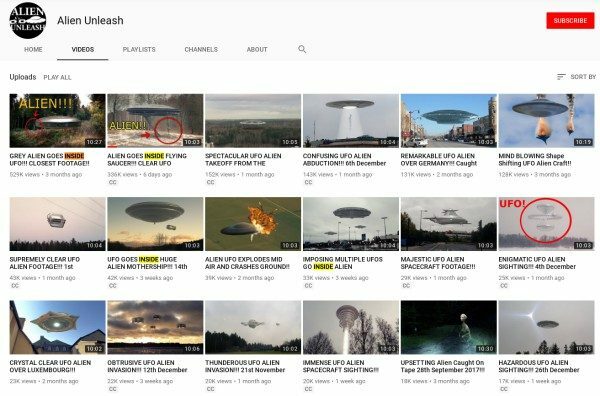 Most claimed that the video was shot in Târgoviște, but others shared this video as if showed an incident outside of Bacău, a Romanian city approximately 300 kilometers to the northeast, while others claimed that the footage showed an alien invasion in Alaska. This is a common trope of internet hoaxes. As the footage is not rooted in reality, the location can be changed to make it more appealing to audiences in various locales. This video was not filmed in a field outside of a Romanian city. 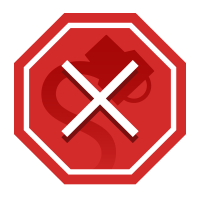 It originated on an alien-centric YouTube page with a penchant of promoting similar hoax videos.